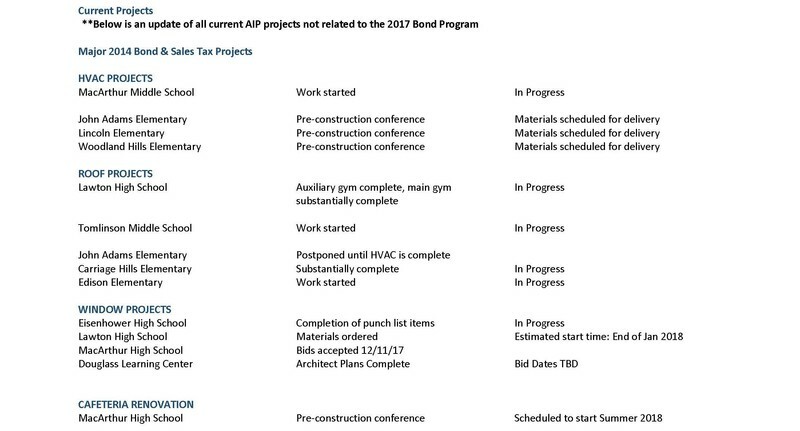 Below is our new, more informative bond report format. It will be shared with community members and district staff each month (in addition to the financial report currently shared monthly). You made the impossible happen, so we are committed to ensuring that everyone knows as much as possible about our bond progress. 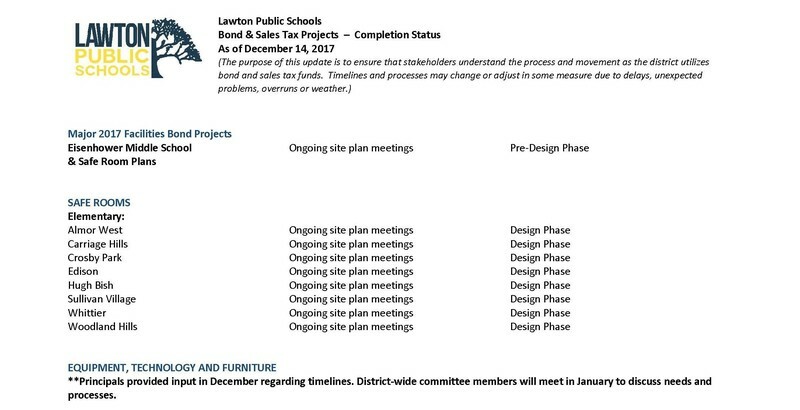 On January 5th, we will start our district-wide committees to begin planning for the equipment, technology, and furniture components of the bond. Two staff members from each site will meet with me. Those members will help keep the sites informed as we move forward. District staff members have worked extremely hard to move as fast as possible. We owe it to you to deliver on this bond and to keep you informed.